NCASA sanctions numerous tournaments around the state of varying levels for the benefit of adult play development. 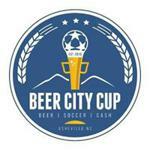 Annually, we host the Carolina's Cup competition for North Carolina and South Carolina teams. This tournament, with its long competitive history, is our premier tournament. 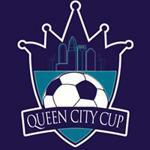 Carolina's Cup Champions may qualify to advance to one of the USASA's National Tournaments. Apart from local tournaments, in association with the US Adult Soccer Association, NCASA teams are also eligible to participate in tournaments across Region III and around the country. Contact NCASA for assistance if your team is interested in traveling to a tournament OUTSIDE of North Carolina. Held annually in early February. Men's and Women's open, Men's 030, Men's 040, Men's 050, Men's 055, and Coed. Held Early August every year! An all women's tournament to raise funds for breast cancer research. NC and SC joined forces to created an event that appeals to all members in both states. From the new team that wants to discover where they stand, to the seasoned team fighting to move onto Regional Competitions....The Carolinas Cup will offer competitions GOLD and SILVER in all divisions; Amateur, Coed, Over 30, Over 40, Over 50, Over 55. NCASA’s most competitive teams go to The USASA National Amateur Cup, established in 1914. The completion begins at the State level, then teams advance to the Regional Competition with Champions competing for the National Title. The US Adult Soccer Fest serves as the premier event for recreational soccer, and it demonstrates the best qualities of our sport: spirited competition,achievement, sportsmanship, camaraderie and fun!